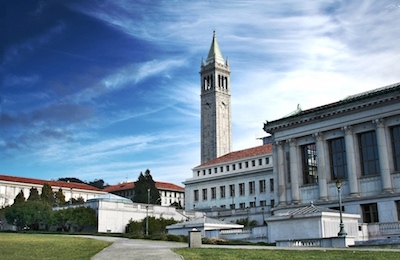 We, the undersigned faculty from the University of California, write with grave concern about the proposed “Statement of Principles Against Intolerance.” We all oppose intolerance and bigotry of all kinds and we are also aware that it is a matter of great urgency to state and defend the University of California’s principles on this matter. We understand that the proposed statement will include “anti-Zionism” as an “intolerant” position, and we urge you to reconsider this formulation because of the restrictions it would impose on teaching, campus debate, research, and the First Amendment rights of students, faculty, and staff at the UC system. The Regents recognized the pitfalls of the now discredited State Department definition of anti-Semitism, which conflates the critique of Israeli state policy with bigotry and discrimination against Jews, when it rejected that formulation in the summer of 2015. We believe that this formulation is now being revived by seeking to include “anti-Zionism” as a form of bigotry and intolerance, and we urge you to reject that view. “Anti-Zionism” is a loose term and is often deployed against any number of political positions, whether or not the term is explicitly owned by the critics. In our view, criticisms of Zionism, a political set of beliefs and national ideology, has a complex history that has developed for over a century, and it is not to be conflated with anti-Semitism. States such as Israel and the United States are openly criticized in public life, and their political beliefs and policies are subject to critical debate, in accord with our basic First Amendment rights. The definition of “anti-Zionism” as intolerance and/or bigotry is vague and overbroad, presenting several problems for interpretation and application. First, who would decide whether a political position is “anti-Zionist”? And what criteria would be used? Second, how would criticisms of the Israeli state for its policies or laws be distinguished from “anti-Zionism,” or would all criticisms become subject to that allegation? Again, who would decide, and on the basis of what criteria? Third, how would principled positions for and against Zionism be actively debated on campus, or would all such debate come to an end? Fourth, debates on the history and meaning of Zionism would hardly be teachable if, as educators, we were barred from considering the historical and contemporary criticisms of Zionism? Fifth, how would students gain an informed understanding of this issue of great public interest if we were not permitted to have all sides of that debate represented and scrutinized? Jewish criticisms of Zionism have been actively debated within the Jewish community since the time of Herzl, and we would be unable to teach that history (consider the important work of Hannah Arendt, the skepticism of Franz Rosenzweig, the robust arguments between among nationalists and internationalists). Examples of those kinds of criticisms of Zionism include the work of secular Jews who have been opposed to Zionism as a religious doctrine with a messianic mission, but also, paradoxically, Orthodox Jews who were, and are, opposed to Zionism because it is a secular doctrine. In the early decades of the twentieth-century, socialist Jews from Eastern Europe made their arguments against Zionism, insisting that Jews would be better served by the Jewish Bund Party representing labour rights. Even now, the New Yorker has run articles by Jewish scholars asking whether “liberal Zionism” is dead, and Ha’aretz, the major Israeli newspaper, regularly hosts debates for and against Zionism. Indeed, many migrants to Israel have arrived without ever taking a stand on Zionism at all. How would we understand this complex phenomenon if the University called all “anti-Zionism” bigotry and intolerance? Perhaps we have arrived at this moment in history because there is a fear that to be opposed to Zionism is to refute the right of Israel to exist as a state – the fear is that the Jewish people will be made to suffer destruction again. And yet, to debate the structure of a state, and to ask about the conditions of its legitimacy in no way threatens a population with harm. If scholars wish to follow public debates about what kind of state structure would be appropriate for those lands, they would not be able to query whether the existing structure might change without being charged with bigotry! Once again, Ha’aretz regularly runs articles debating the one-state and two-state solution – why should universities be precluded from studying this urgent issue, listening to, and considering, a wide array of views, even if some are anti-Zionist? If by “the defense of Zionism” one means the defense of the current state structure, then we, as educators, are asked to adopt a prescribed view on the state – effectively, to take a “loyalty oath” to another nation – even as the ultimate structure of that state is actively debated by the various populations living under its jurisdiction. This effort to reduce anti-Zionism to bigotry, if successful, would shut down thoughtful inquiry, undermine our educational mission, and limit thoughtful and open public debate on an issue of great public importance. We categorically oppose all forms of anti-Semitism. Anti-Semitic rhetoric and practice are deplorable and have no place at the University of California or anywhere else. Slogans, such as “Zionists should be sent to the gas chamber,” scrawled on a UC Berkeley bathroom wall, and swastikas on the Davis campus, are noxious and unacceptable. UCLA students challenging a student government candidate last year were clearly wrong to have asked whether the fact that she is Jewish would affect her views on Middle East policy. Anti-Semitism, like all forms of discrimination, including racism and Islamophobia, must be clearly opposed. We are living in a time when terms like “Zionism” and “Anti-Zionism” carry multiple and conflicted meanings. The task of the university is to provide the conditions under which to study and understand such beliefs and ideologies, to consider their various historical formulations, to clarify the terms of disagreement, and to subject all such positions to critical scrutiny and open debate. This is the spirit of academic freedom to which we adhere. We urge you not to adopt a position that will censor political viewpoints that are rightly considered to be constitutionally protected speech. Both our educational mission and our commitment to constitutional rights are presently at stake.